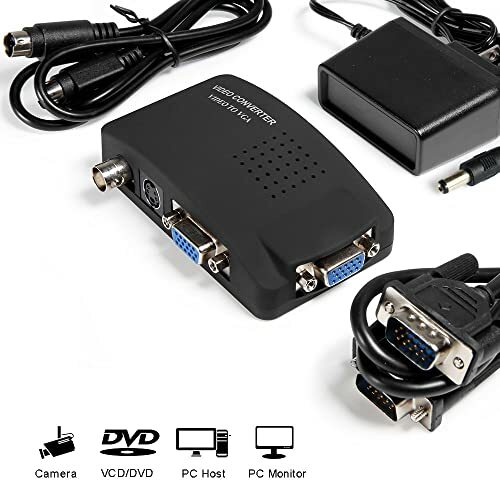 A very neat device that has allowed me to put the contents of my old Canon Camcorder Analogue Video 8 Tapes on to my PC via USB. A bonus was the inclusion of Arcsoft Showbiz. 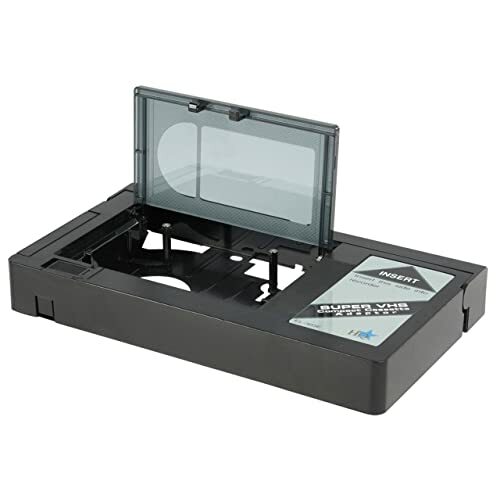 This allows one to Capture, Edit and then Burn to CD/DVD. This is a simple program, but Ok for what I want. 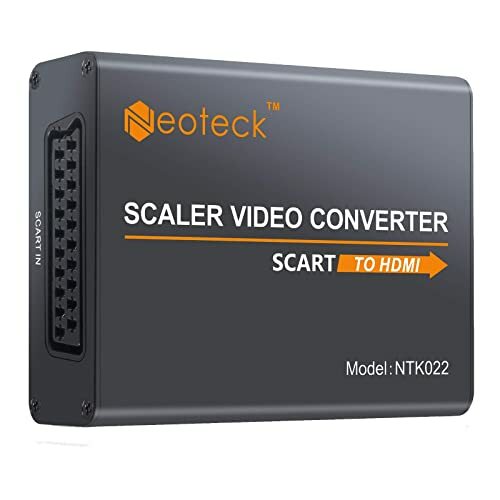 A very useful device at a very reasonable price. 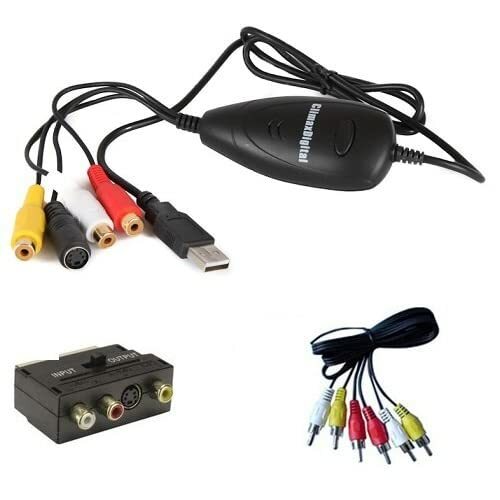 Note it can also access VHS Tapes via your VHS Recorder with an included SCART Adapter. Excellent purchase....Well worth paying the higher price from TR Computers ( ConvertStuffUKShop ) for the tutorial video ( and help-line if required ... which I didn't)... especially for the initial setting up and capturing from VHS tape using the included ARCSOFT SHOWBIZ software ( save as .mpeg2 file then burn to DVD all using this software). However, In my case , if any video editing was required, I found that saving the initial captured file on Arcsoft Showbiz as a .wmv file instead of .mpeg2 and using the more user-friendly WINDOWS LIVE MOVIEMAKER ( which only accepts .wmv files )to edit the video ... then convert the finished ( edited ) file to a PAL version of .mpeg2 then burn it to DVD was a better and more reliable method to end up with an edited DVD that worked every time. At first I gave a negative review but then I was advised to activate the software which I did and it works now. I could not find my original review to amend it. only just started using the software but so far seems to work fine, happy enough with it. 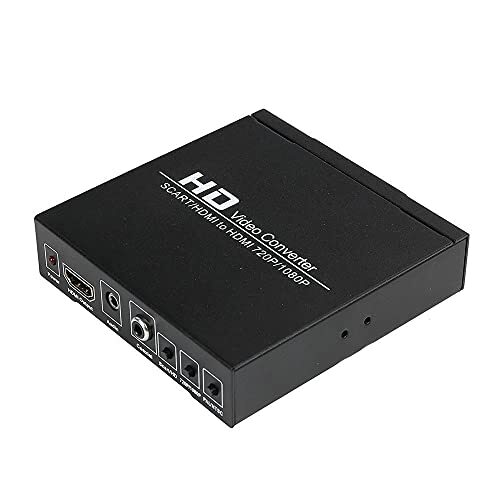 This was bought to attach an old vcr with scart and composite connections but no HDMI ports to a new TV with HDMI. Read the reviews and this seem to fit the bill. Connected the 2 media sources to this box & bingo it worked. I haven't since watched any video cassettes or DVD's but at least the stored videos and discs are safe for a few more years. 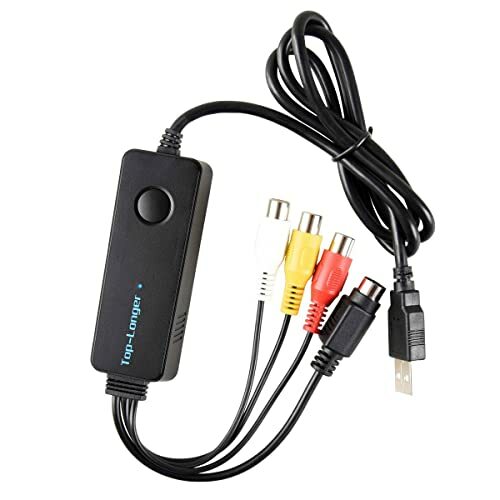 The generic name for this device is EasyCap, and there are various different clones. There is quite a lot of information on the web about using them on Linux - not all of them can be used successfully. Fortunately, this version uses the Empia EM2861 chipset, which is good to go in most current versions of Linux. It works fine on my Debian 8 distro. Of course, you won't be able to use the accompanying ShowBiz software, and so will need alternatives to make use of the device. Worked like a charm. All the old video tapes of the grandchildren who are now parents themselves. Some funny videos which made for funny CDs as Christmas presents. Arrived promptly. 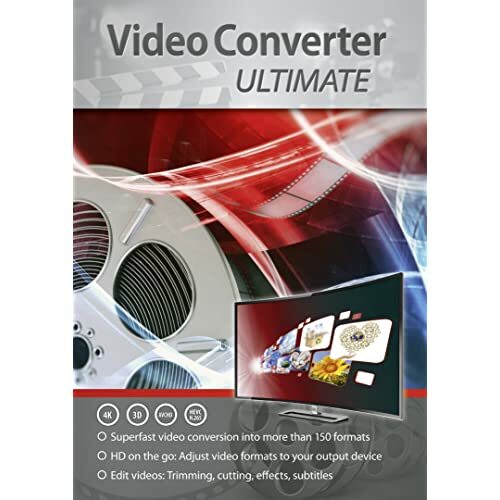 Needed to transfer s VHS tape to DVD after loading the drivers provided on my PC which it did very well with the Arc Soft software included. 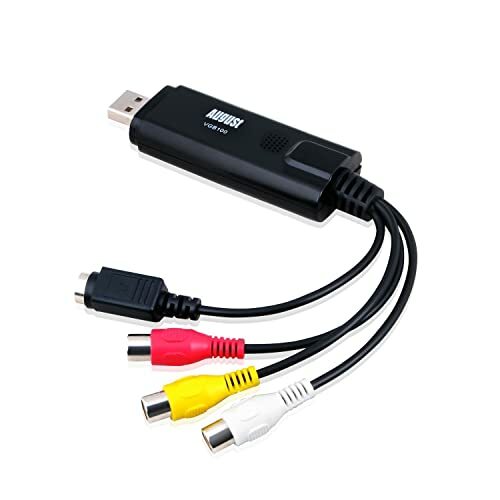 I was looking for BNC to VGA converter. I did research and found this on amazon. Delivery was quick. I highly recommend this product. It is very simple to use. Just plug and play. If you play with it there are lot more functionalities apart from basic use. You can control the VGA output settings like brightness, contrast and lots of other stuff from it. Best 14.99 spent. 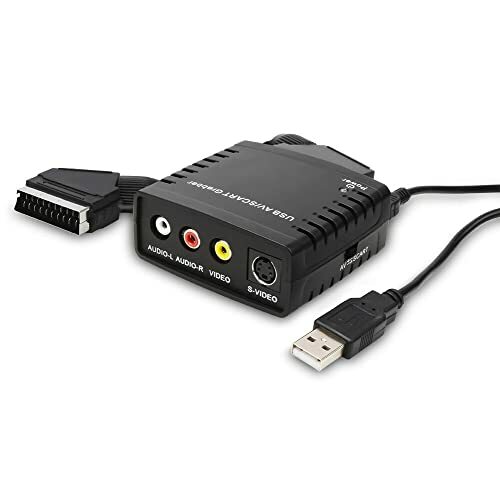 Used this converter to connect my PS2 to TV, cause didn't had any composite outputs on TV. 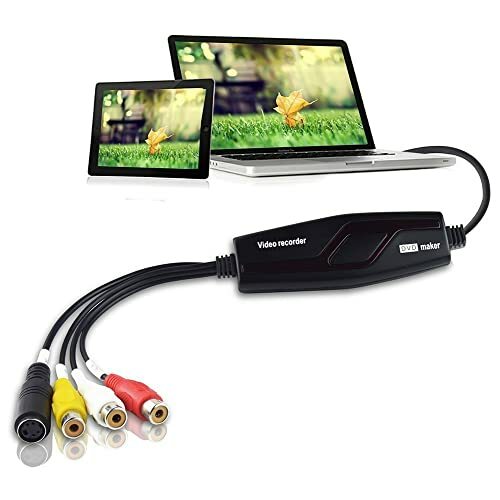 Really good item and good quality, love it's small design, you can easily hide it behind TV. 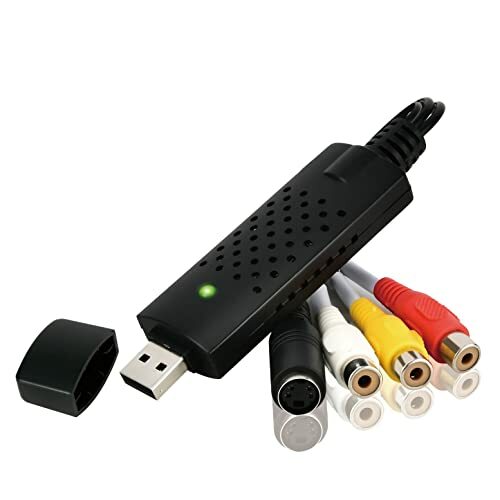 It's very easy to use, just connect all the cables, choose required quality and you ready to go. If you don't have spare USB ports, as I did, you could use old phone charger with USB output, just make sure it's not fast charge ones, cause it might damage converter. I've used 1A phone charger and it works great. Good product - works as advertised. 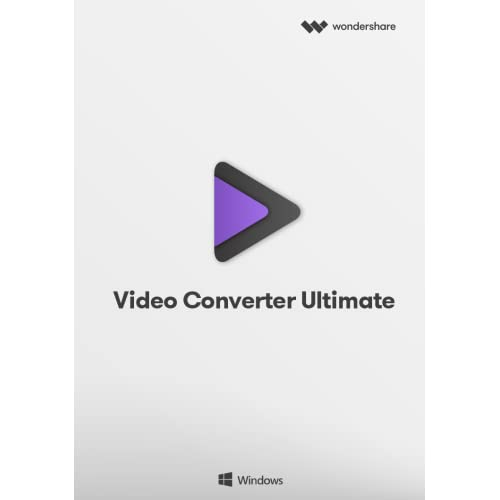 Software simple to use and quality of video faithful to original. Slight gripe with fiddly usb but otherwise I recommend this product. Does what it says on the tin effortlessly and simply. Any format in and out. Im not bothered about upscaling id rather play the way it was meant to be played Im so happy. 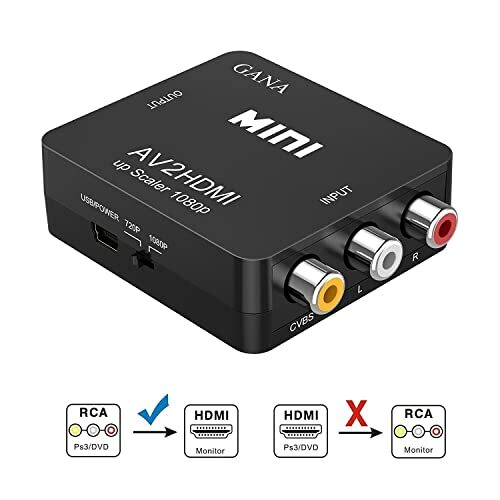 If you want video out from your SkyQ Mini to non HDMI, this works perfectly.